Design Find of 2009 Taschen Brings It, I wish I could Afford It. I love Taschen. They are truly one of the best book publishers in the world, taking risks that others don’t and publishing limited edition books that are always raising the bar. 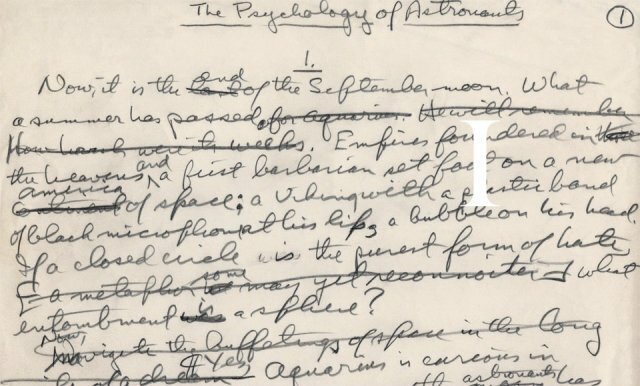 I own a number of large format books that they have put out, and if I had an extra 95,000 Euros (136,000 American) lying around I’d buy a copy of this. 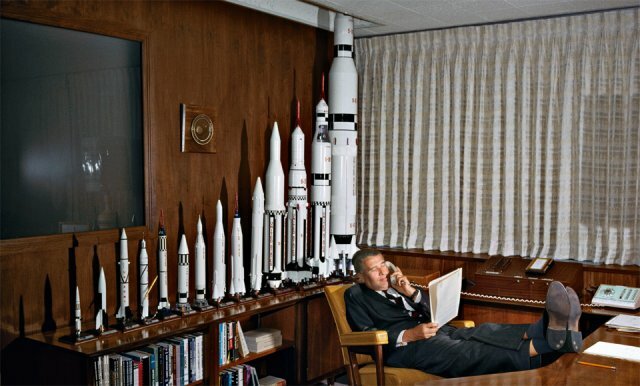 Limited to a production run of 12, Taschen brings us Norman Mailer’s “Moon Fire” Lunar rock edition. 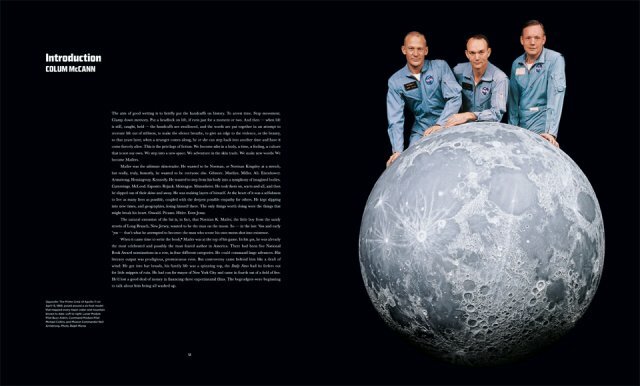 The book comes with an actual moon rock which probably accounts for most of the cost here, but true to Taschen’s ability to take things to the next level they give you much, much more. 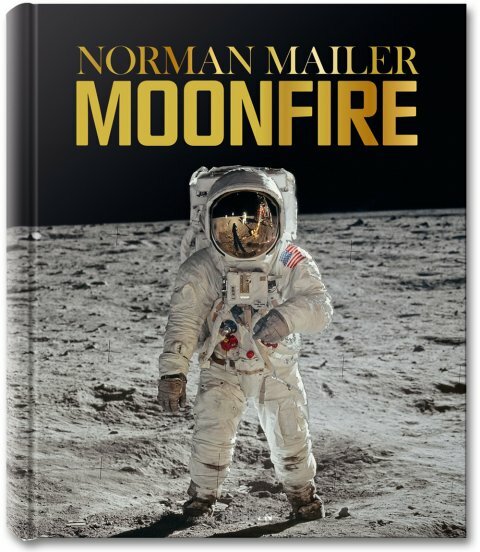 Limited to just 12 copies, numbered 1958–1959, the Lunar Rock Edition of Norman Mailer’s MoonFire has been designed by Marc Newson. 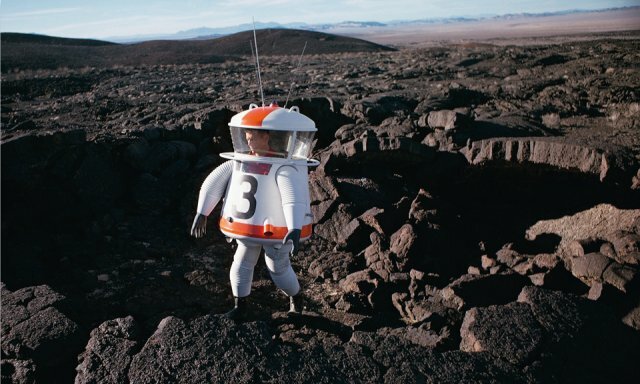 The concept was inspired by the Apollo 11 LEM (Lunar Excursion Module). 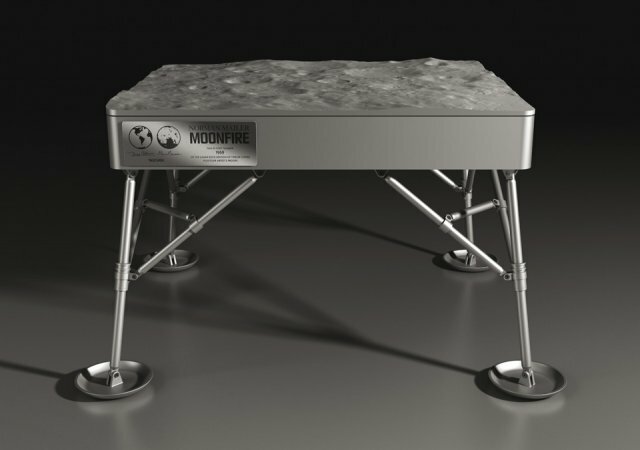 Each book is contained in a case made from a single piece of aluminum where the surface an actual 3-D topographical map of the Moon, and each edition comes with a unique piece of lunar rock. The Lunar rocks are actually meteorites from the Moon which are exceptionally rare. To date there are fewer than 70 lunar meteorites known to exist, and their total combined weight is approximately 55 kilograms ( roughly 2 ounces), making them millions of times rarer than the highest quality gem grade diamonds. Most lunar meteorites however reside in museum collections and research facilities, leaving only 15 kilograms or so available to individual collectors worldwide. 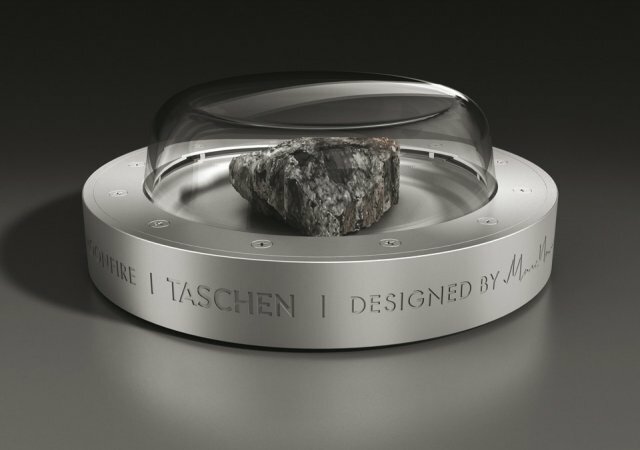 Since acquiring an Apollo moon rock is virtually impossible, the only realistic way to own a piece of the moon is by acquiring a lunar meteorite which Taschen provides for the individual that is actually in a position to own this book. Almost more than the Lunar rock, I am absolutely blown away by Newson’s design of the case. The legs that extend from the bottom of the container look like the landing gear of the LEM. The case itself is laser etched with the title of the book and the edition number. From the photos it has a dense and substantial look to it, and there appears to be so much detail in the topographical surface. In addition to the case, the book contains a Plexiglas-framed print, signed by astronaut Buzz Aldrin. 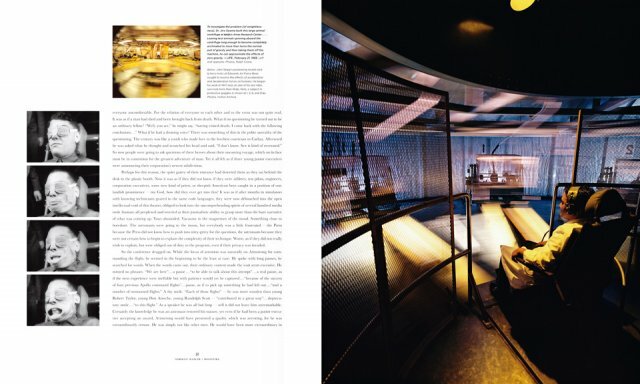 Oh and based on the images below, the content and page spreads look pretty amazing as well. Marc Newson is one of the most accomplished and influential designers of our time. He has worked across a wide range of disciplines to create everything from chairs, household objects, a concept car to restaurants, interiors of private and commercial jets and a spaceplane, designed for EADS Astirum, the fulfilment of a lifelong personal ambition. The design concept for the Lunar Rock Edition is inspired by the Apollo 11 LEM (lunar excursion module). Each book is contained in a LEM-inspired case whose surface is an actual 3D topography of the Moon made from a single piece of aluminum, and is accompanied by a separately packaged, authentic and documented piece of lunar rock, all ranging in weight, size and coloration. The Lunar Rock Edition is limited to 12 copies only (edition no. 1958-1969). Copy no. 1969 includes a complete Lunar Meteorite weighing in at 348 grams. One of the largest lunar meteorites ever found on Earth, this is an extremely rare item as nearly all meteorites have been cut into smaller portions for sale or for study. 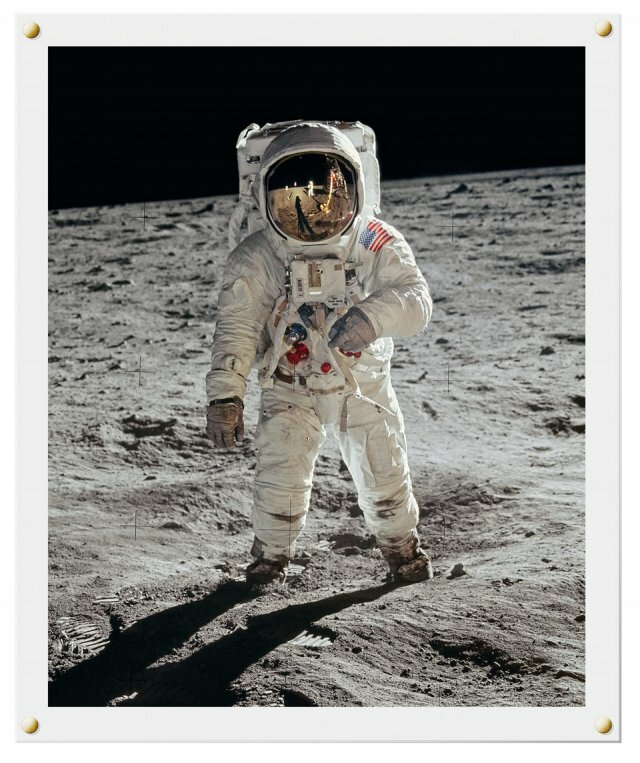 Posted in Design and Art and tagged Apollo, Apollo 11, Book Design, Buzz Aldren, Design, Lunar, Lunar Landing, MArc Newson, Moon Rock, Norman Mailer, Taschen on December 29, 2009 by Author.